I recently had the pleasure of taking a short family-friendly break to Hamburg to experience what the city has to offer for families on a budget. 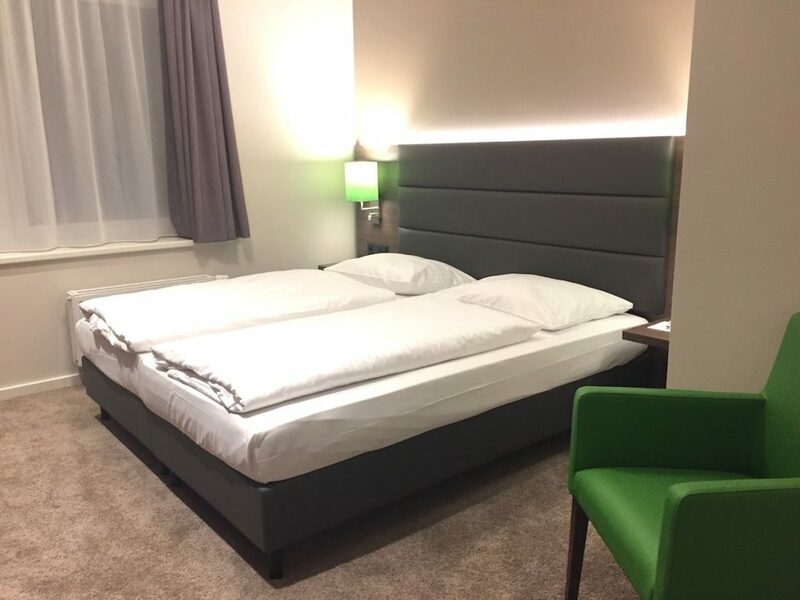 The Appartello offers serviced apartments within a few minutes’ drive of the airport – really handy if you have tired kids and want to just ‘get there’ without the hassle of a long transfer. It’s a three-star superior apartment hotel that offers 76 apartments and opened just a year ago – and you can tell. It’s modern, bright and incredibly clean. In fact, I didn’t see one scuffmark on the wall in the apartment – pretty incredible knowing that other kids would have stayed here too. 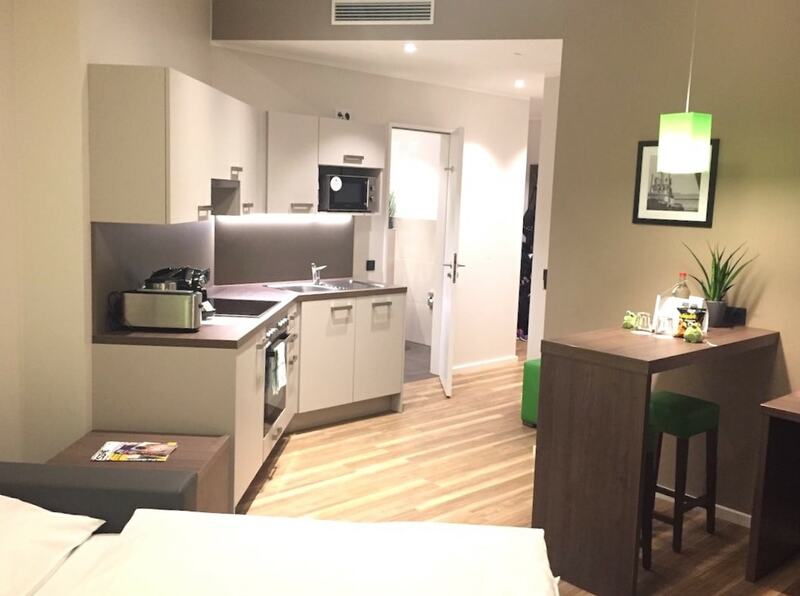 So what’s the difference between a serviced apartment and a hotel? A serviced apartment offers pretty much the same as a hotel, but you’ll also find a kitchen area (and usually a seating/lounge area), giving you the option to cook your own meals. They are therefore quite popular for long-term stays, but work equally as well for short-term stays. Serviced apartments usually offer a maid service, reception, laundry and 24-hour customer service, but most won’t offer a restaurant for meals. The apartello offered a breakfast room where we could choose from a selection of pastries, cereals and cold meats to set us up for the day, then it was up to us to either buy lunch and dinner out, or make it ourselves. You could say that my first impressions of the hotel were made about five hours before I checked in. Just before leaving for the airport from home I noticed that the website said that I could get in touch via WhatsApp – so I did. I knew the Appartello was located close to the airport, but I didn’t know the best way of getting there – could I walk, should I take a bus or hail a taxi? Literally within seconds of sending my Whatsapp message, I got a response telling me that the best way is to get a taxi, that would cost around €10 and they are looking forward to welcoming us. Now, I know Germans have a reputation for being pretty efficient, but this was impressive stuff! We arrived at around 9.30pm and did indeed receive a warm welcome from the receptionist, who informed us if we needed anything to ask reception as it is open 24-hours a day. This was reassuring to hear – especially when you’re staying as a family. The kids were distracted by the automatic shoe-shine machine in the reception (I wonder if it drives the staff mad? ), while I was taken by the free Haribo frog sweets and the handy tear-off maps of the city in reception. I am so glad VIP decided not to spend £13 on a city map at Luton Airport; the free one from the hotel would do just fine. The reception area was bright and minimalist and, along with the free sweets (such a nice touch), it also offers a seating area. Being minimalistic, that was about it – oh, apart from a leaflet rack featuring local attractions, which is always handy! Apartments are located over three floors and we were in room 305. I was surprised at how spacious our apartment was. There was a large double bedroom, a super modern bathroom and a spacious kitchen/living area (with a sofa that doubled as a second double bed), a desk and working area plus a large balcony. Both the bedroom and living area offered flat screen TVs and the kitchen was really well equipped – not only with all the pots and pans you could shake a stick at (complete with inventory list), but even the facilities were super cool too – a fancy-dan coffee machine, soft-close doors AND a mini dishwasher. Cleanliness is an important factor for me, along with tasteful décor – and the apartment had both. Plush deep-pile rugs combined with hardwood floors and a neutral, calming colour palette offered a relaxing space. What I did appreciate were the pops of ‘granny smith apple’ colour interior accessories dotted throughout the décor. Lamp shades, bar stools and ceiling lamps all offered a nod towards the hotel’s mascot, the Appartello frog, and some designer had clearly worked very hard (and succeeded) in tying the whole look together. Apartments can sleep up to six people and the hotel offers the use of a fitness room and business facilities. In fact, I saw a few suits at reception so I’m guessing it’s also a popular place to stay for business travellers. In terms of bed comfort, I’m a fan of firm mattresses – and I actually need good support for my weak back, but the mattresses are pretty hard. This might have something to do with the fact that it’s still a relatively new hotel, but despite their firmness, I woke up and my back didn’t hurt as much, so although they felt a bit too firm, perhaps it was just what the doctor ordered. Nearby, there’s a Lidl within a couple of minutes’ walk for food shopping, which is super handy – we ended up getting a couple of pizzas from there, much to the kids’ delight. 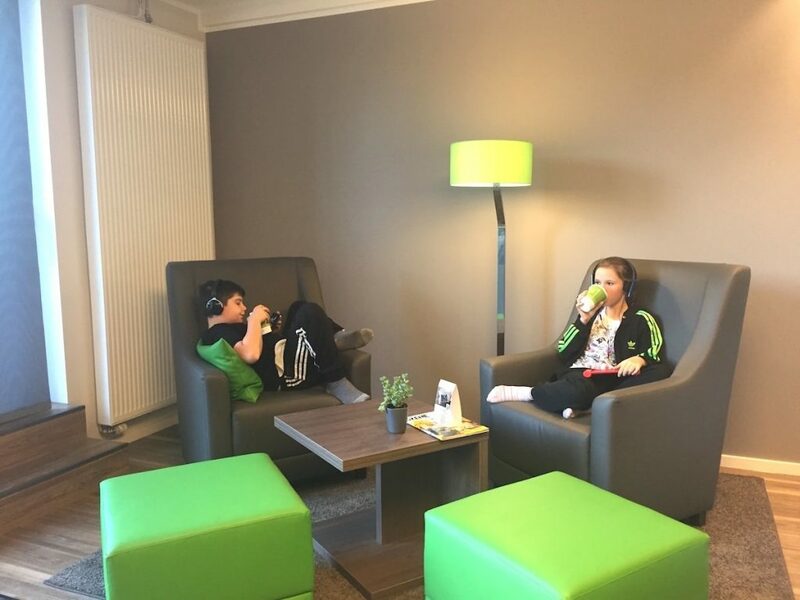 The hotel also has a lounge with a fireplace (as an extra space to escape), plus there’s a business corner where you can get online. Talking of getting online, a family apartment that sleeps four is offered free Wi-Fi access for the duration of stay for four devices, meaning that the whole family can get connected. This is a must if you have kids like ours who, when not taking in the city sights, want to be playing some game that relies on Wi-Fi on their devices. The hotel offers a breakfast room with a ‘pay for what you eat’ concept, which is great for ‘grab and go’ days or kids without much of an appetite. Otherwise, if you enjoy a big breakfast and want access to most of the food and drinks on offer, then a ‘Smart Breakfast’ for €9.90 per person might be just the ticket. Alternatively, you can choose individual items with prices ranging from a cereal box for the kids for €1.50 to half rolls (with toppings such as eggs, cheese and ham) from €2.20. Breakfast is available daily from 7:00am to 11:00am and there are also vending machines available that offer snacks. Plus, if you’re in a hurry – you can always have breakfast ‘to go’. If you’re arriving late at night (like us), bring some coffee sachets or t-bags with you and some powdered milk or those little UHT pots. Although the nearby Lidl will sell supplies, it closes at 9pm. As I’m a bit of a tea-obsessive and was in dire need of a cuppa, VIP went to reception to see if he could grab a tea bag and he came back with a selection (AND milk) courtesy of the understanding, helpful receptionist. You might also want to bring conditioner. The shampoo/body wash smells great, but if you’ve got long hair, it will make getting knots out a lot easier. Your hairdryer – there’s one in the cupboard! Essentials like a washing up brush for dishes, a couple of dishwasher tablets, washing up liquid, towels, soap, body wash and shampoo (all-in-one) can all be found in the apartment. In the bathroom there’s also a vanity mirror and a box of tissues. There’s a bus stop just round the corner and if you take the 292 it will take you to the U-Bahn station, Lattenkamp, where you can get the underground into the centre of the city, where most of the attractions are. The whole journey should take you no more than around 30 minutes. It’s probably not worth hiring a car in Hamburg, as the public transport system is excellent, plus there are plenty of taxis you can flag down if you need to get somewhere in a hurry. You can also take the number 39 bus in the other direction, which will take you back to the airport. I timed our journey (buses are typically every 20 minutes – the hotel has a timetable) and it took just 8 minutes to get back to the airport. Prices are flexible depending on how many people are staying – and for how long, but the great thing about the Appartello is that it offers a selection of special offers depending on the season and time of year. As an example though, a family of four (with two kids aged up to 14) can enjoy a ‘Smart Family City’ break for just €119 per night, per apartment across three nights. But this doesn’t just include Premium Apartment accommodation – it also includes a Hamburg Card for the whole family for three days (giving unlimited free transport on buses, trains and ferries PLUS up to 50% discounts at a number of sights, attractions and restaurants/cafes! ), a bottle of water in the room, free Wi-Fi, a surprise for the kids and a city tour with the red double-decker bus for the family. We were all struck with how nice the apartments were, and I think that when you can personally recommend them to friends and family it speaks volumes. The things that impressed me the most were that the apartments were ultra-modern, comfortable and spacious. I have to mention both décor and the quality of the furnishings – even the curtains felt like they were made of silk. The interior designers obviously paid attention to detail and it shows. Lots of things that you see at the hotel you can also buy from the reception – mugs, pens, the frog mascot and, much to my delight, the Haribo frog sweets, for the not-so-crazy price of €1.50 – so I nabbed a couple. 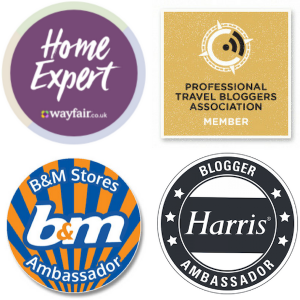 Although the hotel is not in the city centre, there are a number of benefits to this; namely cheaper accommodation, a quieter location (great if you're a family) and the fact that there is a Lidl a few steps away sweetens the deal for affordability. 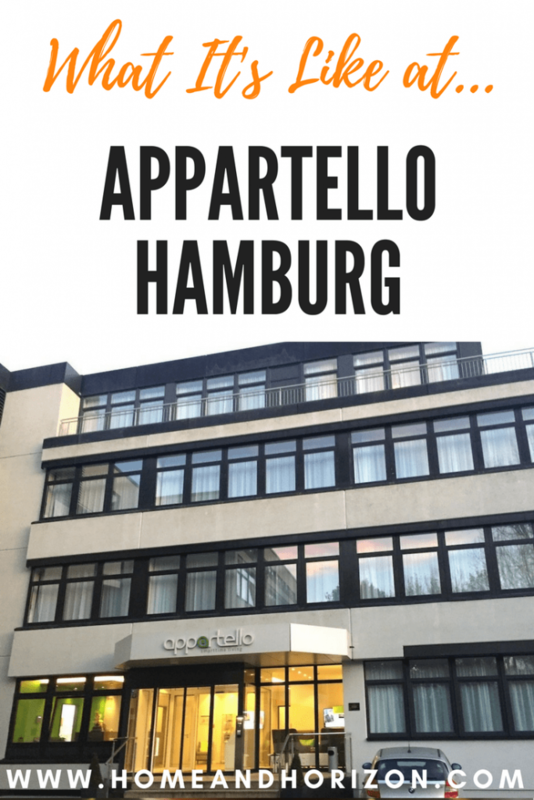 *I was invited to stay at the Appartello as part of the #ComeToHamburg project in return for an honest review. Looks amazing. Great pics . Deffo one for the bucket list. Thanks Kara – a win-win on this one.. I have heard of aparthotels so it was very interesting to see what they were like inside. Very cool – it looks great! Funny what we discover isn’t it? Thanks for the comment. I’d heard of them but never stayed in one – and now I’m a fan! This sounds like an ideal option with kids! I love the flexibility of a kitchen when we’re on holiday! Me too! I think I’ll most definitely take serviced apartments into consideration for all my future holidays..thanks Erin! Great looking place – although that’s a top tip about taking tea bags. I’m lost without a decent cuppa and most places are often downright stingy with their supplies. Weird fact though, I studied German up to my first year in University and I’ve still not been to Germany! Might have to do something about that!!! Thanks Linda – I bet if you do end up going that your German will come back quicker than you thought. There’s nothing like being in the thick of it to get you speaking the lingo quickly. I was lucky as my husband speaks German, but most of the Germans have excellent English anyway. Now I’ve stayed in one I can see the benefits – you get the best of both worlds which is great. I love the look of this. It’s minimalist yet covers everything that you’d need. It’s also spotlessly clean and sounds like it is run efficiently. Thanks Melanie – you’re absolutely right – the highlights being that it was comfortable and super clean. 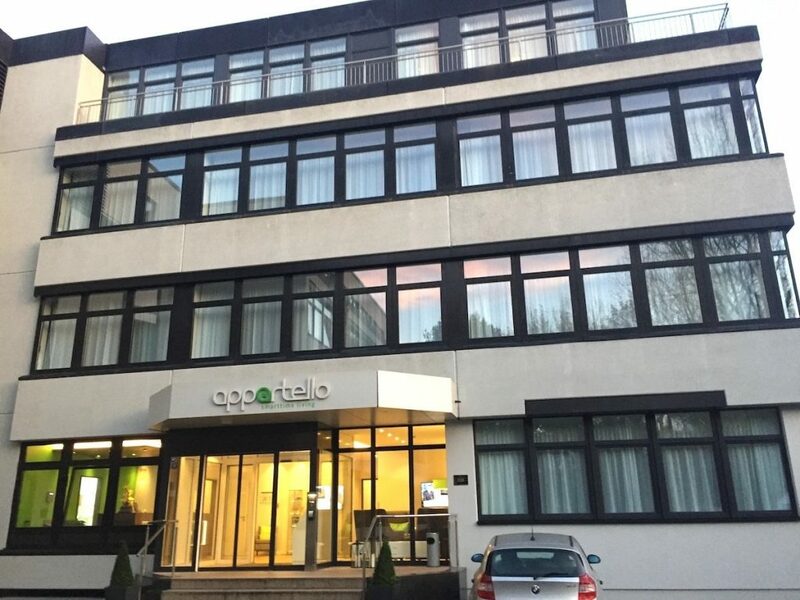 I was interested to find out about aparthotels in Hamburg as we are planning a trip next December. It sounds like it is a great budget price for a family, but towards the dear side for just a couple. I do like that they have everything you need to self cater (including dishwasher!!) but think I’ll be sticking with Airbnb for us. Out of curiosity though, how far is it from the airport and city centre as we would probably walk which would make the price better as we wound’t be spending on transport costs. 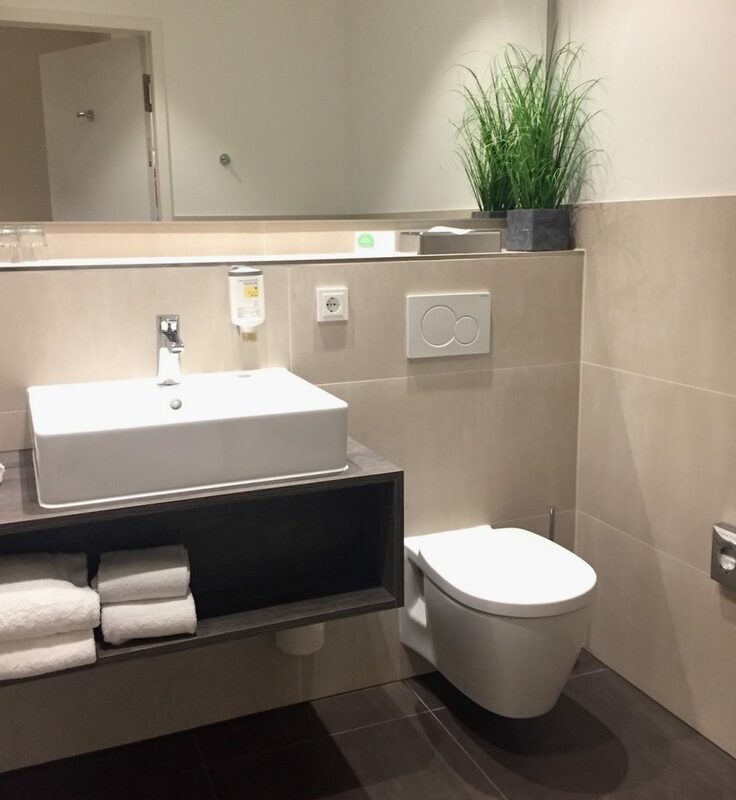 Thanks Sarah – although it’s really close to the airport (a 3 min drive) it might be a bit tricky to walk as there’s a dual carriageway that separates the hotel from the airport. You could get the bus though as that would keep costs down. Also – worth emailing the hotel to see what rate you can get for when you want to go – if you don’t ask, you don’t get and I know they are a fan of offering deals. I love the sound of this apartment hotel. I think families really benefit from the extra space and the peace and quiet. Really looking forward to your other Hamburg post. We travel on Saturday yeah! Oh definitely Zena – it was nice to put the kids in another room in the evening while we had some downtime! Have an amazing time this weekend – you are gonna love it! Looks like a great hotel this as a family base. Even the food menu looks to have something for everyone on it! Yes – there was lots of variety for breakfast and I like the pay for what you eat concept too. I prefer aparthotels for family trips, especially if travelling with hungry teens! 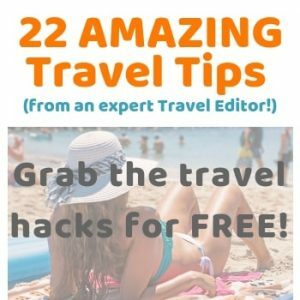 It makes it so easy to eat and sleep when you want to rather than having to stick to a hotel’s schedule. This sounds like a really good recommendation for Hamburg. 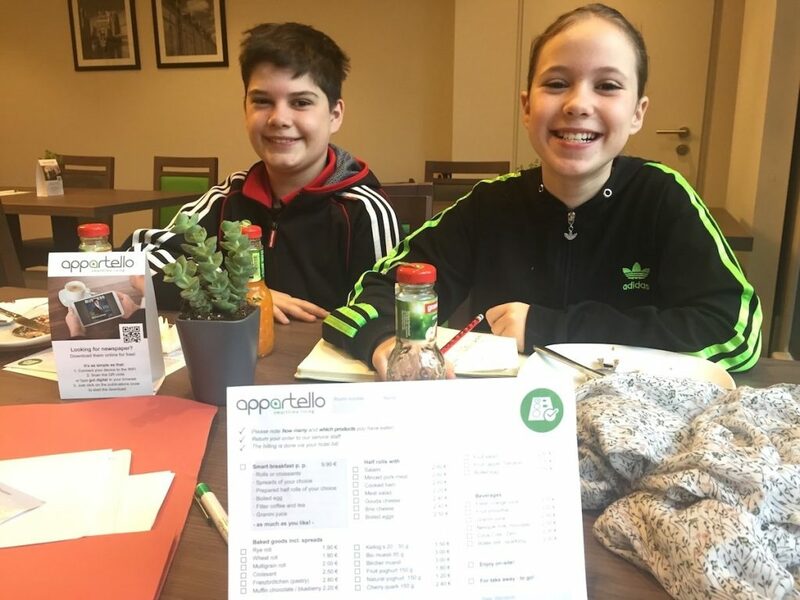 Thanks very much Nancy – and yes, I hadn’t before considered them until having stayed at the Appartello, never really knowing what to expect, but great point about travelling with hungry teens! Thanks Claire – it made for a very comfy stay! Wow sounds like you had a great time! An apartment is always a great place to stay when you have kids. That’s very true – because you can be much more flexible! This sounds great – well organised, convenient, efficiently run and thoughtful too. Excellent when you’re travelling with kids!